Did you know that Kid Three can’t have peanut butter? He’s not allergic, but it gives him terrible stomach aches. 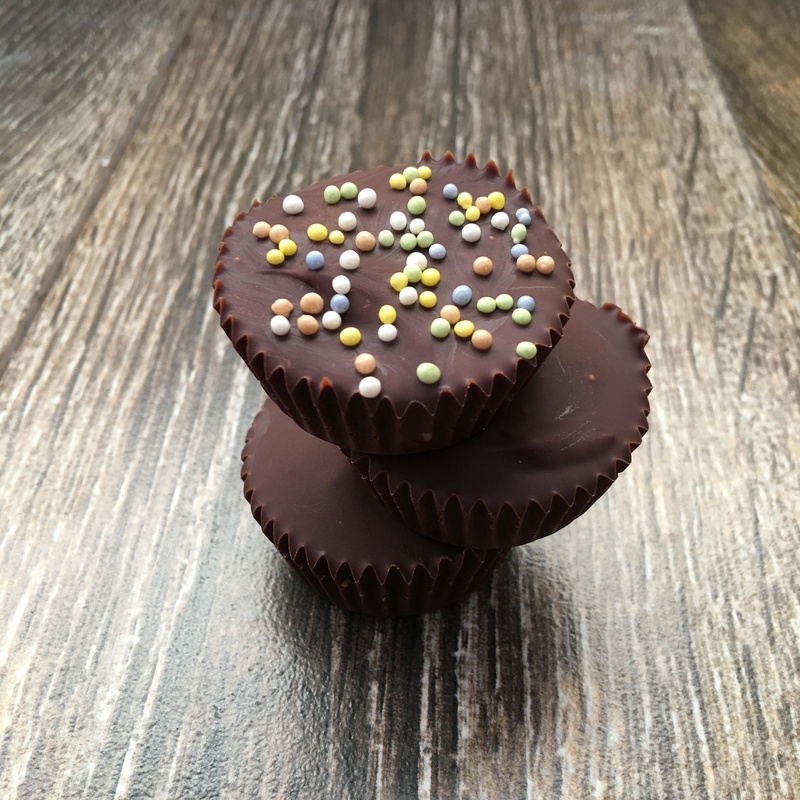 With that in mind, I try to make him candy cups every so often, and these were a hit. 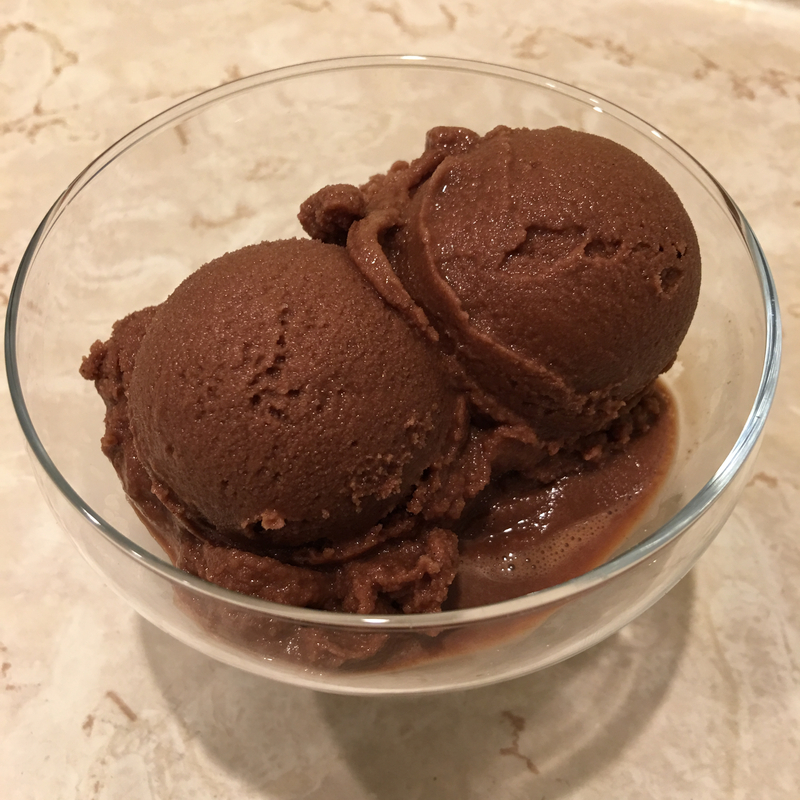 For the first time, I tried using crunchy almond butter, rather than creamy. For Vegan: Use maple syrup instead of honey. 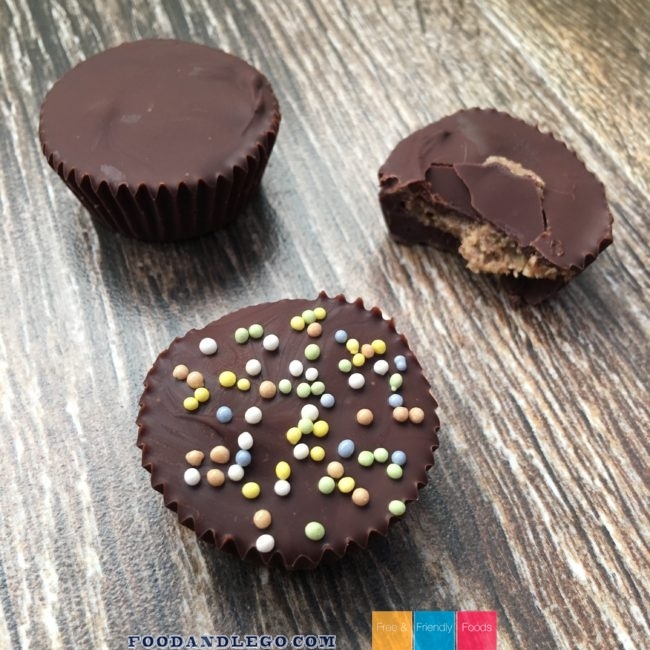 For Raw Food: Use appropriate brands of chocolate, honey, and almond butter. 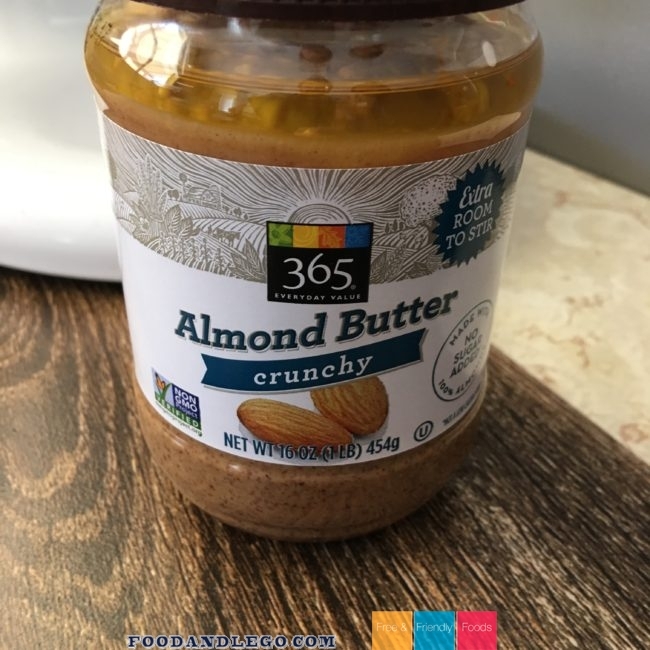 You may need to grind your own crunchy almond butter, or add crushed almonds to your raw creamy almond butter. 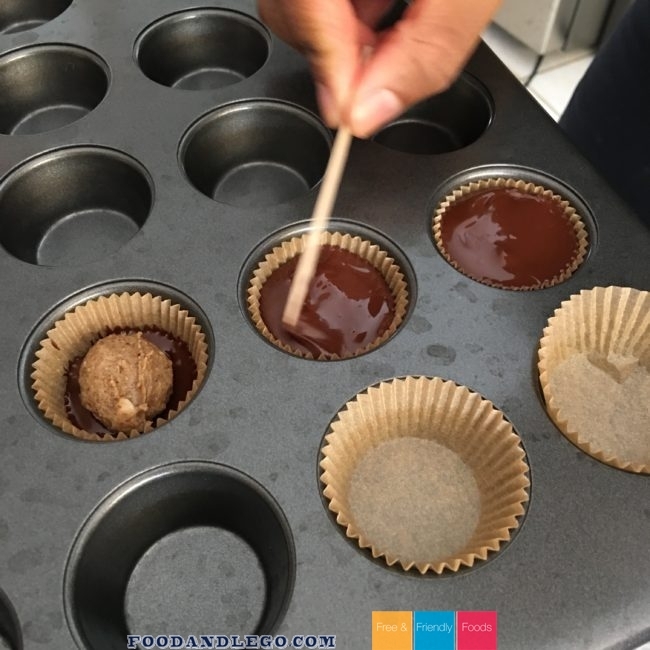 Line a mini cupcake pan to make your candy cups. You could use a large pan, but we like the little ones. Melt down your chocolate bar (use low temperatures if eating raw). 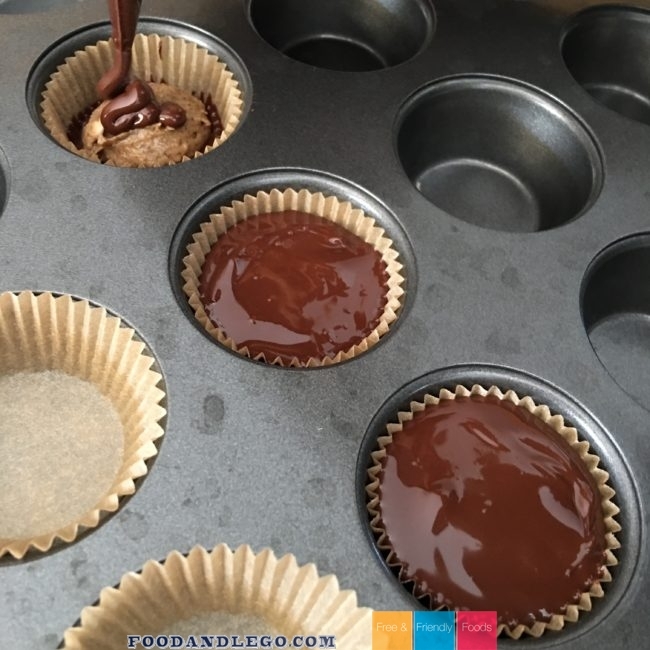 Place chocolate into your mini cupcake liners. I like to use a toothpick to smooth it out, and push some chocolate up the sides a little. Next, mix together your filling ingredients in a bowl, using a fork. 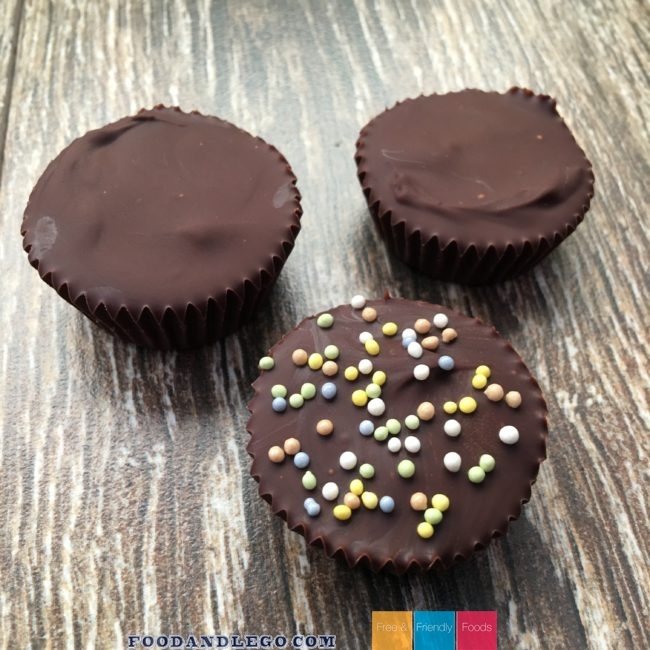 Use a small cookie dough scooper to add the almond butter to the chocolate cups. Only scoop in about half of a mini dough scooper (1 teaspoon). If you do more, that’s OK, as long as you like your chocolate cups extra stuffed. 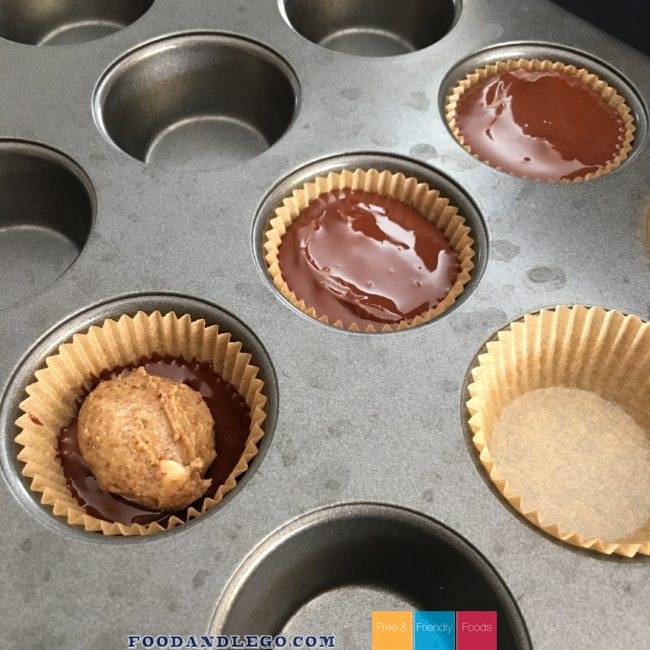 Place more melted chocolate on top of the nut butter filling, and smooth it out with a toothpick. If you want sprinkles, now’s the time to add them. 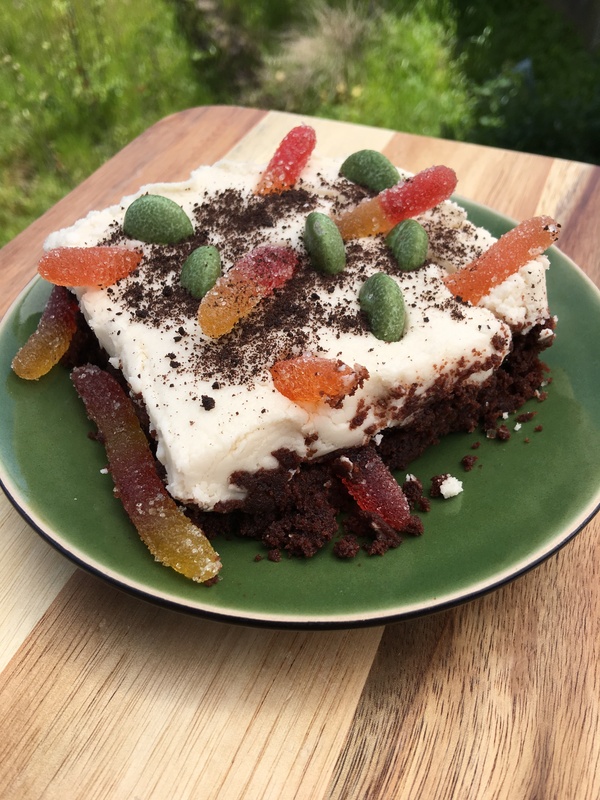 Place your tray in the fridge for at least 30 minutes to set. 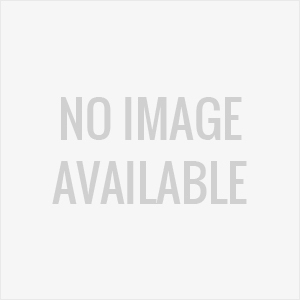 Now, may I interest you in some pictures?